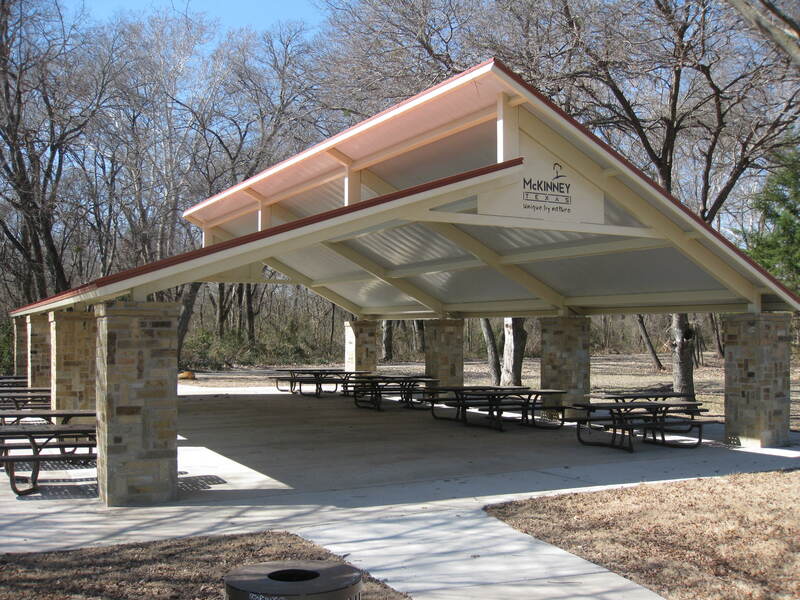 Northwest Shade Model provides striking clerestory design with classic lines. The Northwest Model’s striking clerestory design creates a modern look with classic lines. 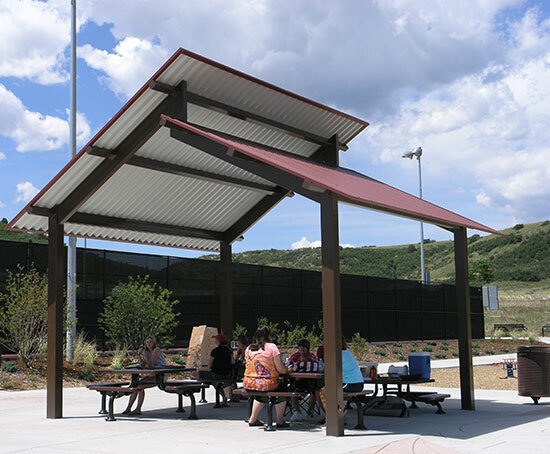 The variable roof pitches of the Northwest shade and large opening provide unparalleled ventilation. The structure protects occupants from the elements with its heavy-duty engineering and geometry. 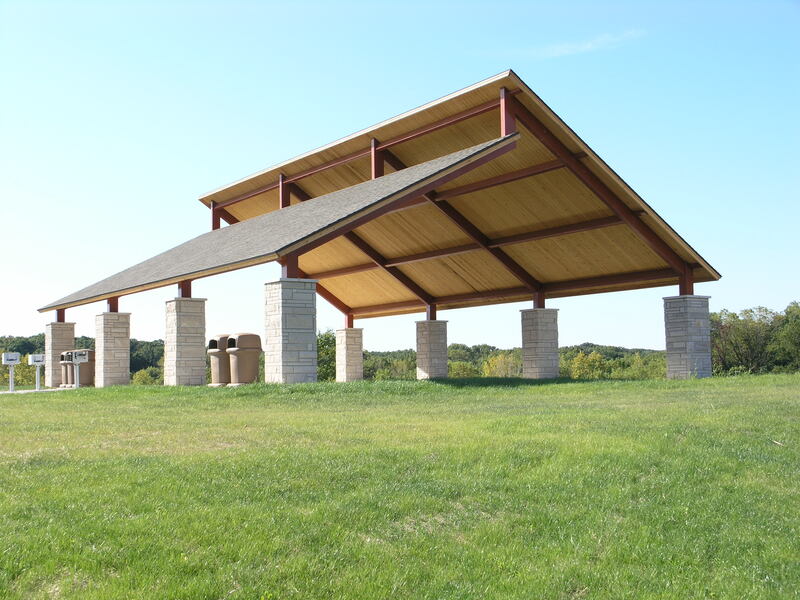 Forest Preserve, Batavia, IL: 36′ x 50′ Northwest model with 2″ x 6″ T & G sub-roof and fascia with shingles. Stone surrounds by others.